“We actually have enough food to feed the entire world. The commercial sector in Australia alone dumps nearly four million tonnes of edible excess food to landfill, which could’ve been redistributed in a more efficient manner” – Jane Kou, Master of Commerce (Marketing) alumna, Founder & CEO of Bring Me Home. In an era when the effects of climate change, economic inequality and a rising global population have resulted in global food shortages, addressing food wastage in the developed world has come to the forefront as one of the major challenges of our age. Around the world, entrepreneurs and NGOs have taken the challenge head-on, coming up with innovative and creative solutions to the problem. 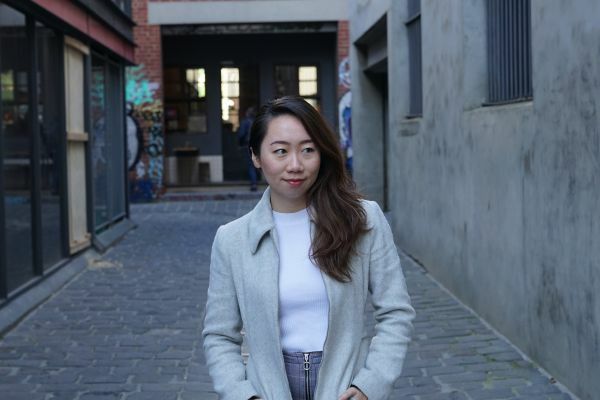 Now, Melbourne Business School (MBS) alumna Jane Kou has adapted a European design and developed Bring Me Home, a mobile app that connects people to nearby food retailers with discounted surplus food to sell and tackles the problem of food waste head-on. I caught up with Jane four days after the official launch of Bring Me Home. In that time, it had already saved 70 meals from going to waste. “We went live on Monday, and it’s been an incredible first week. The first day, we had some technical issues with Android, but we overcame it right away and we were suddenly ranked #5 on Google Play the next day. Now people are talking. We’re getting messages on Instagram and Facebook like “Loving the concept. Trying your food today,” so I’m really happy to see it all happening.” Bring Me Home allows vendors to list meals they have an excess of, where they predict there will be surplus food. Customers then pre-purchase meals using the app, at up to 70 percent off the normal purchase price. While the app has now been operational for a little over a week, Bring Me Home has been in the works for more than a year. Originally, the idea came from Jane’s work with Too Good To Go, a European company that operates on a similar model. While Studying at MBS, Jane spearheaded Too Good To Go’s expansion into Australia. Ultimately, Too Good To Go pulled out of Melbourne, consolidating their efforts to Europe, but the experience gave Jane the chance to identify the issues, and develop a new model that would work better here. It's a multifaceted model, reducing waste, connecting diners with affordable meals, and providing charitable support for those in need. It’s also perfect for people eating outside normal hours, shift workers, entrepreneurs, and of course, university students. The latter is a community she’s tapped into, offering internship opportunities to several current students, and hiring her first full-time employee, Jen, another University of Melbourne graduate.